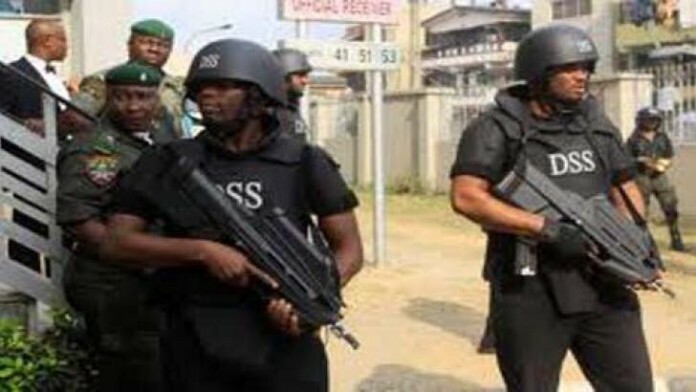 The National Industrial Court (NIC), Abuja, on Friday, dismissed alleged unlawful termination of appointment suit, filed against the Department of State Service (DSS) for being incompetent. The claimant, Abdulganiyu Daudu, whose appointment was allegedly terminated by the DSS, instituted the suit through an originating summons in November, 2015. Daudu, who alleged that his dismissal by the DSS was unlawful, had asked the court in his 2015 originating summons, to compel the Service to reinstate, among other reliefs. The applicant joined the Director-General of DSS as co- respondent in the suit. However, Daudu, who failed to serve the DSS the necessary court documents within stipulated time by law, had approached the court, asking for its order to renew the process of the originating summons. At the resumed sitting on Friday, Justice Sinmisola Adeniyi, in her ruling, held that the application seeking to renew the summons was incompetent and accordingly, struck out the suit. Adeniyi said“ the lifespan of the originating summons expired in November, 2016; and the application for renewal was not done until April 4, 2017. “The law stipulates that no originating process shall be in force altogether for longer than a period of 12 months. “The application for renewal of the summons in this suit was brought five months after expiration of its lifespan. “The summons was completely dead; the best of excuses could not have revived, resuscitated or breathes life back to it. “Negotiation or reconciliatory moves by the parties is not an excuse for failure to comply with the requirements of the rules of court. “The applicant, who is entitled to withdraw his originating summons in the event of a successful negotiation, should have served the defendant with the summons and renew the same at the appropriate time,” she held. The applicant’s counsel, Mr Adeola Adedipe, had argued that his client did not serve the summons before it expired, because of the reconciliatory moves initiated by the defendant in the matter. Adedipe told the court that it became impossible for the applicant to serve the already filed Summons on the defendant while the reconciliation process was in progress. The counsel added that his client reverted to the summons because the reconciliatory moves had broken down.